Northern Watersnake swimming in the water. It’s a Northern Watersnake! Up till now every Northern Watersnake I’ve photographed has been on land, though most were near water. 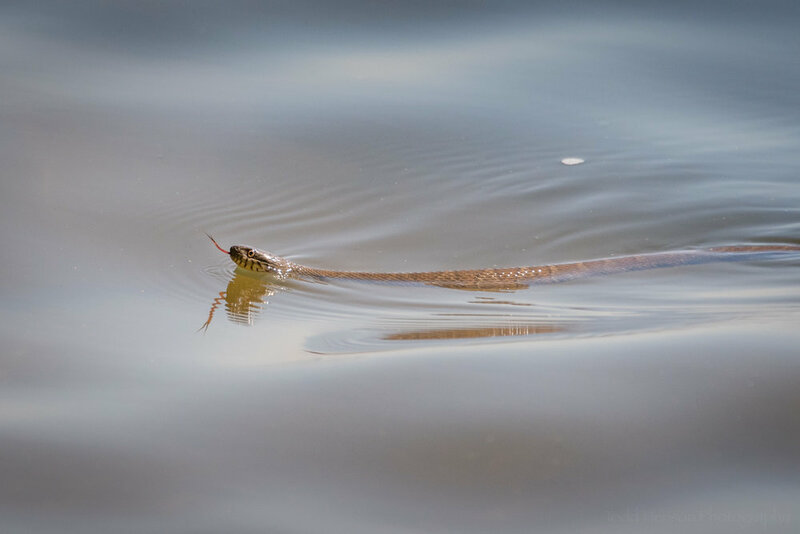 But I’ve finally photographed a water snake swimming through the water. I watched this one as it dove under the water, resurfacing some distance away. 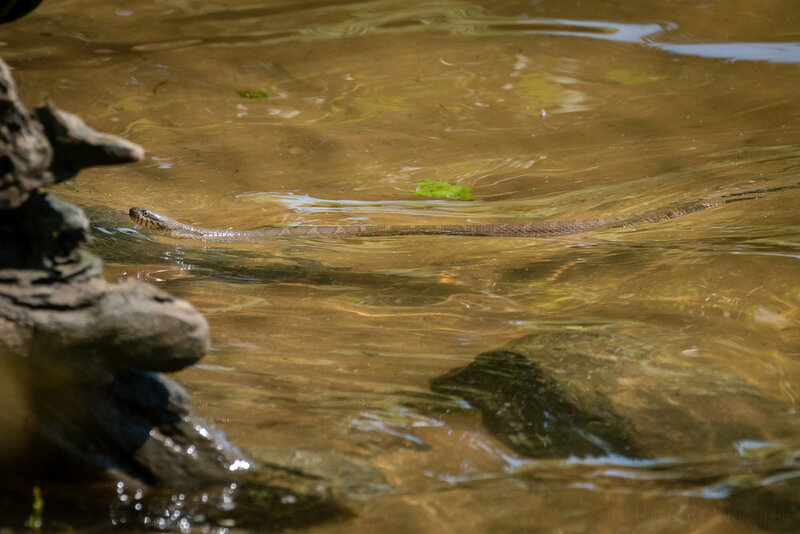 These snakes can move fairly quickly through the water and can be difficult to follow. I don’t consider either of these photographs particularly great, and neither is in any way artistic. But I’m pleased to have created them for the behavior they document. 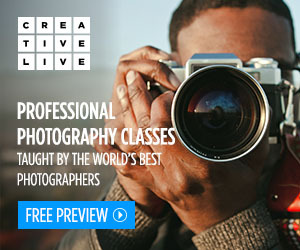 There can be many reasons for creating a photograph. In most cases I’m trying to show some aspect of landscape, nature, or wildlife in an artistic, pleasing way. But other times, as in this case, I’m just trying to document a species, to capture any behaviors, or to capture different features of the creatures. Next time I observe this behavior I hope to create a more pleasing set of photographs. 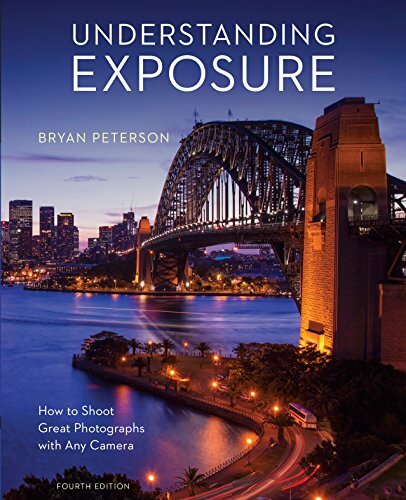 First, capture the moment, document the behavior. Then work to create a better version of the photograph. There is always room for improvement. So keep trying! Do you have any pleasant memories of when you captured an animal’s behavior? Let me know in the comments below. Memorial Obelisk at the entrance to the George Washington Birthplace National Monument. Earlier this year I went on a short day trip with my folks. One of the locations we visited was the George Washington Birthplace National Monument in Westmoreland County, Virginia. As its name implies, this location is a memorial to the birthplace of George Washington, who was born here on February 22, 1732. Very little remains from that time period, as the original house burned in 1779. The Memorial House was built in 1931 and is thought to be representative of houses of that time period. This National Monument has a lot to offer visitors, so I’d highly recommend visiting at least once if you’ve never been. You can study a little history while here, and they have recreated architecture of that time period. There’s plenty of nature and wildlife, such as osprey and bald eagles. The local scenery is fantastic, and there are enough trails to get in a little exercise while touring the grounds. Naturally, the George Washington Birthplace National Monument is full of history. It is an attempt to recreate a small piece of history as a living monument. Panorama of the Memorial House. This side faces Popes Creek. The site contains the Memorial House, a Colonial Kitchen, Colonial Garden, and Colonial Farm. There is also the Family Burial Ground, and a Memorial Obelisk that was erected by the War Department in 1896 where the Memorial House currently stands. Later, in 1930, it was moved to its current location at the entrance to the park. View of the Memorial Obelisk facing the exit of the park. There is also a small visitor center with a number of historical artifacts from the site. And if you spend some time driving or hiking around the entire park you will discover other small historical treasures. The outline of the original house, with the Memorial House and Colonial Kitchen in the background. The architecture, though not original, is representative of that time. These are not ruins, but recreations of buildings from that period of history. In 1936 archeologists unearthed the foundation of the original house. They later reburied it to preserve it, but also outlined the location with oyster shells. So you can see the size and location of the original house in relation to the Memorial House. Side view of the Memorial House. The Colonial Garden was along the trail further to the right. The Memorial is located in the Northern Neck of Virginia and is a great location to view nature and wildlife of various sorts. While we were there we watched many bald eagles flying overhead, as well as more osprey than I’ve ever seen in one location. There were almost 2 dozen osprey all flying over the large open waters of Popes Creek looking for fish. Male Ruddy Duck swimming in an inlet off Popes Creek. From one of the boardwalks stretching over a small inlet of water we watched as a curious little male Ruddy Duck waddled its way over to us, under the boardwalk, around the little inlet, then back out to Popes Creek. They are fun ducks to watch, with their tails sticking almost straight up as they paddle through the water. Northern Watersnake in the brush between the trail an Popes creek. We also found a Northern Watersnake along the brush at the side of a trail. Unfortunately, I think it might have been dead. It didn’t move for the short time we watched it, and zooming in on the photo it appears the head may have been crushed. I’m hopeful this wasn’t the case, but I didn’t try to poke at the snake to verify. I just created a few photos and moved on. I don't know exactly what this interesting object is, but found it at the end of a tree branch. This is a great location for admiring beautiful scenery. The back of the visitor’s center has a porch with a couple chairs that over look Pope’s Creek. While we sat there an osprey perched in a tree directly overhead. You could watch other osprey fly above the water, sometimes diving underwater for a fish. A view of Popes Creek from the back porch of the visitor's center. If you follow the trails you can see other views of the Creek and where it enters the Potomac River. Some of the trails weave through the woods, and one leads to a sandy beach. And, of course, with all the trails there is the benefit of exercise. Most of the trails are fairly level, so they aren’t overly taxing. Some of the trails are made from crushed oyster shells, which is easy to walk on. And the scenery makes the trails a joy to hike, especially on a day with comfortable weather. View of the Memorial House through the trees. This was my first trip to the George Washington Birthplace National Monument. I would like to travel back to this park during different times of the year. I’d love to see the Colonial Garden in bloom. And I’d love to bring my larger lens to photograph the osprey and eagles from the shore. I suspect it would also be a great place to visit if you just need a break and would like a peaceful place to relax. Check out the George Washington Birthplace National Monument if you’re ever in the area. There’s plenty here to enjoy. And if you do visit let me know what you thought.